The Los Angeles Lakers are one of the most storied franchises in all of sports. That’s why it wasn’t a surprise to learn that LeBron James jumped ship from his hometown in Ohio to the bright lights in Hollywood, California. But after a disastrous season, could the Lakers be in the business of trading LeBron James? It was one of the most bizarre press conferences in sports history. Earvin Magic Johnson gathered a group of reporters around to tell them that he would be resigning as the President of Basketball Operations of the Los Angeles Lakers. Magic was emotional; running the gamut between sheer joy and holding back tears, he admitted that his personal business was “exploding” and that he couldn’t handle doing both jobs anymore. But the worst, most childish part is that Magic didn’t tell his boss and longtime friend, owner Jeanie Boss, that he was resigning. Instead, he held a press conference so Jeanie couldn’t change his mind behind closed doors. Then Jeanie fired head coach Luke Walton. It’s pretty clear the Lakers goal is to rebuild. So where does that leave LeBron James in all of this? James signed a four year contract with the team. The Lakers were undoubtedly plagued by injuries; not just from LeBron James but from Kyle Kuzma and Brandon Ingram as well. In fact, when all three were on the floor this season, the Lakers were 15-8. Whoever Jeanie Buss hires as the new President of Basketball Operations might just try to push James out via trade and start over. After all, nobody wants to play with him so it’ll be hard to surround James with the right pieces necessary to at least compete for a championship. Can they trade him though? What’s odd is that no-trade clauses in NBA contracts are rare and usually reserved for the league’s biggest stars. But James is not only the biggest star, he’s arguably the face of the league. He must’ve gotten a no-trade clause right? Nope. James surprisingly doesn’t have a no-trade clause written into his contract even though he could have easily demanded one. But with the ever-changing landscape of the NBA, it’s not all that surprising. What if unforeseen circumstances shifted the dynamic in the league so drastically that he had the chance to team up with Kevin Durant and Kyrie Irving in New York? Chances are that’s not going to happen. 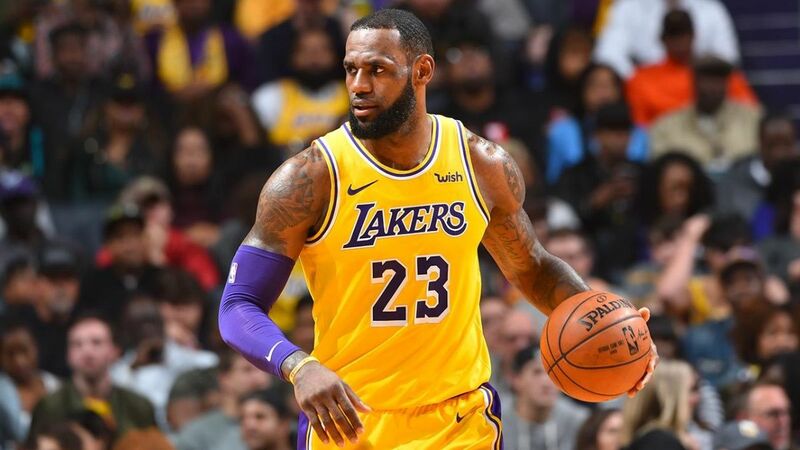 However, any other team would be foolish to try and trade for him – only hoping that he would agree – because all he has to do to block the trade is threaten to retire from basketball altogether. James was probably fully aware of that when he signed his four-year deal with the Lakers. He’s untouchable. And his fans will be barking at the NBA to get him to un-retire if that were to happen. The Lakers could try but there’s no way it’s happening.